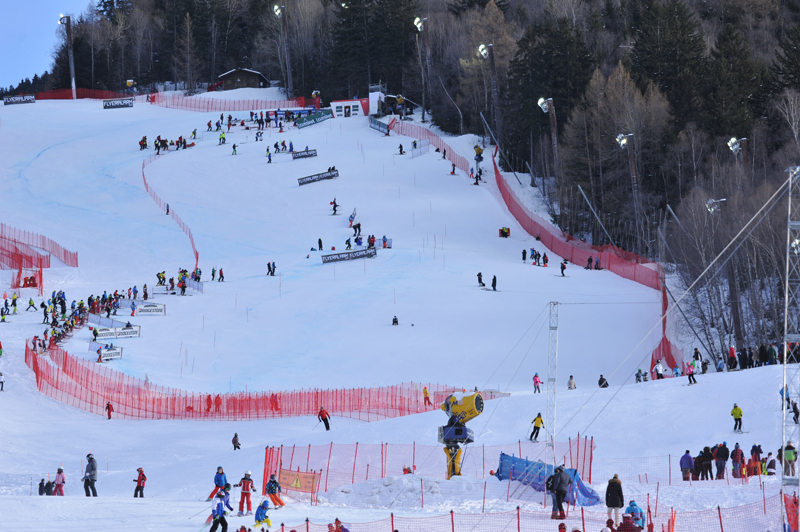 The first official training of the Men’s World Cup DH race – race is taking place on December 28 and is followed by the Alpine Combined the day after – will be anticipated tomorrow morning, at 11 am. Decision was taken tonight during the Team Captain’s meeting considering the weather conditions: light snowfalls are expected the afternoon in Alta Valtellina. Better not take risks and all the teams agreed with that. 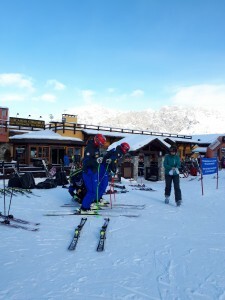 The teams arrived in Bormio in the morning. Time to celebrate Christmas, then the Ski World Cup will be back. 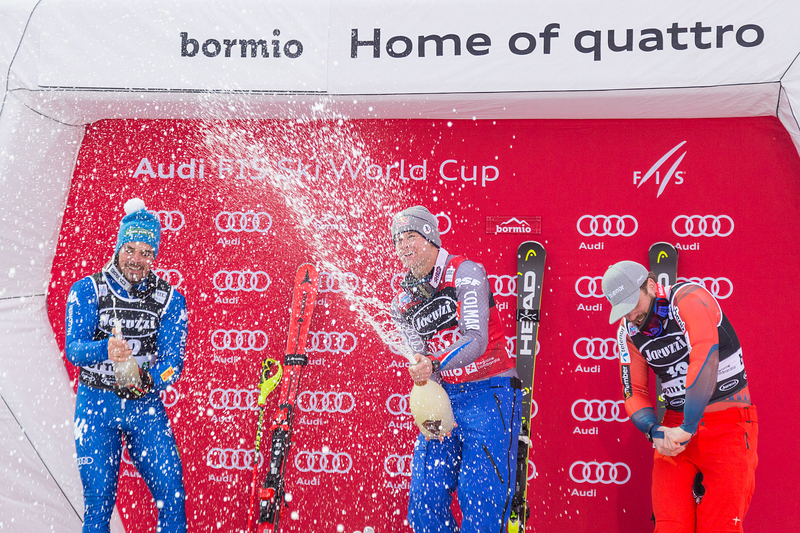 It’s back with one of its most exciting events, the Men’s World Cup one in Bormio. It’s a difficult DH race which is back to the world circuit after 3 years, and it’s a real challenge for the jet men just a month from the Winter Olympics in PyeongChang. 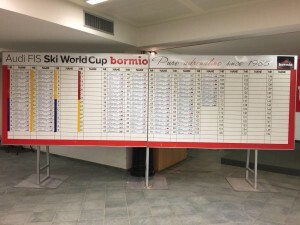 This is the program of the events in Bormio. At the Public Village (via Vallecetta), Levissima stand there’ll be a climbing event from 9.30am to 6.30pm. Second training day for teams Italy, France, Austria and United States on the Stelvio in Bormio, theatre of the Men’s World Cup DH race on December 28 and of the Alpine Combined on December 29. The “Azzurri” Fill, Innerhofer, Marsaglia and Paris were there while the young ones left on Monday afternoon to go to Reiteralm, Austria, for the European Cup competitions. 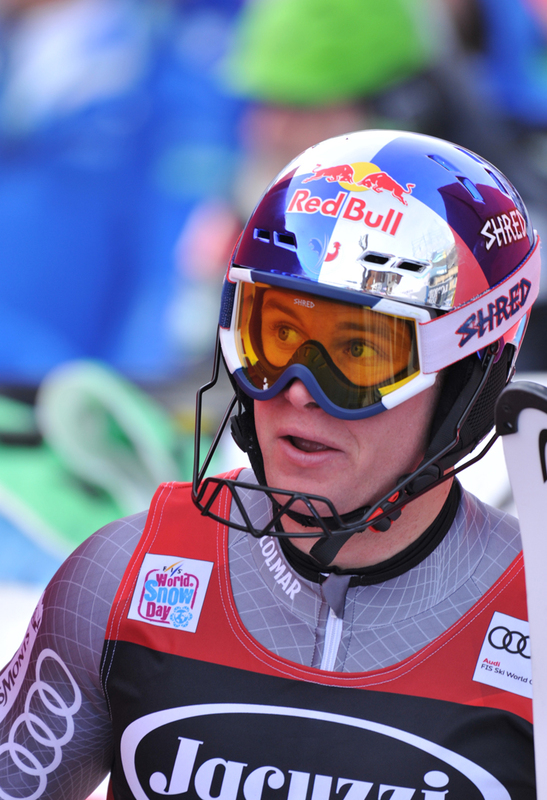 The American Jared Goldberg was the fastest one of this morning’s first training session on the Stelvio slope in Bormio, the theatre of the Men’s DH World Cup race on December 28and of the Alpine Combined the day after. 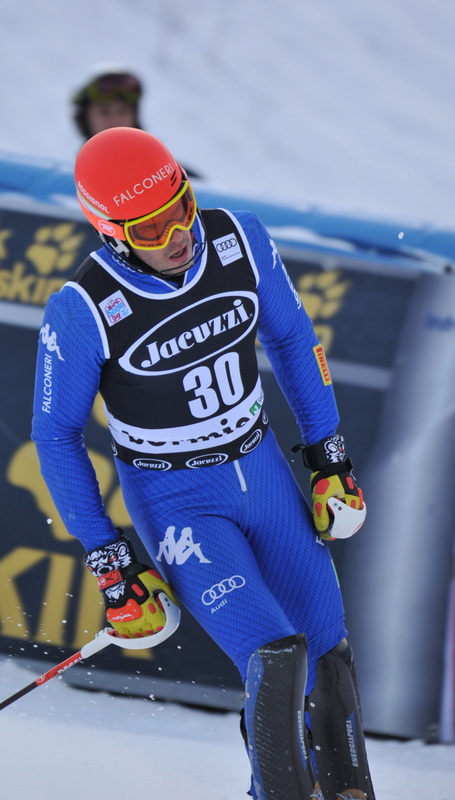 The teams Italy, Austria, France and United States took advantage of the opportunity to regain confidence with a track that was worthily replaced by the Compagnoni in Santa Caterina Valfurva for three seasons, and that now is back to the world circuit. 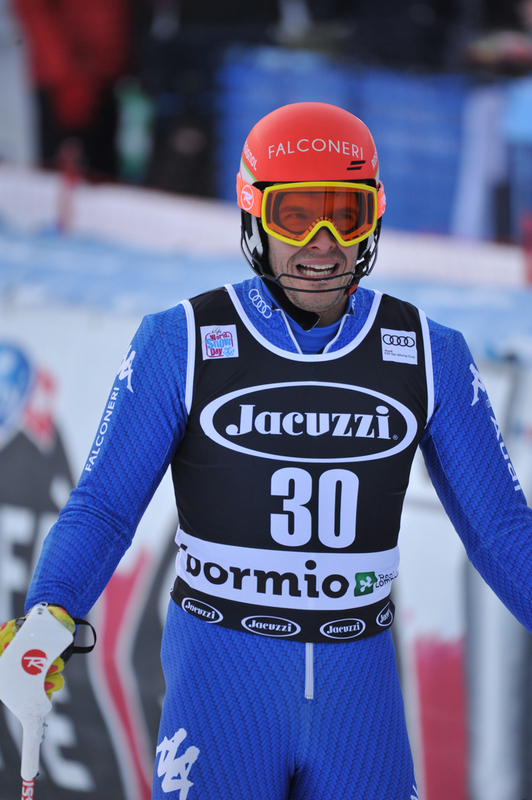 Team Italy, Austria, United States and France are coming to Bormio from Val Gardena. 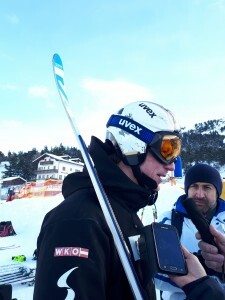 The athletes will train tomorrow and the day after on the Stelvio, the slope hosting the next Men’s World Cup DH race on Thursday 28 December and the Alpine Combined one the day after. 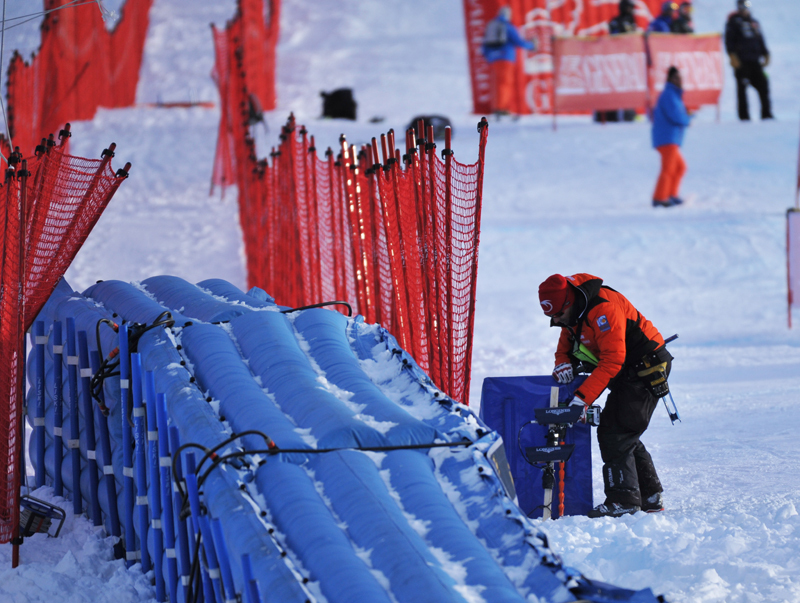 The World Cup circuit is back to Bormio after three seasons, on a track that is considered by most of the athletes the most technical and difficult of the entire World Cup circuit. A review is necessary. The snow conditions are excellent, but the difficulties of the Stelvio are many: better study them carefully. 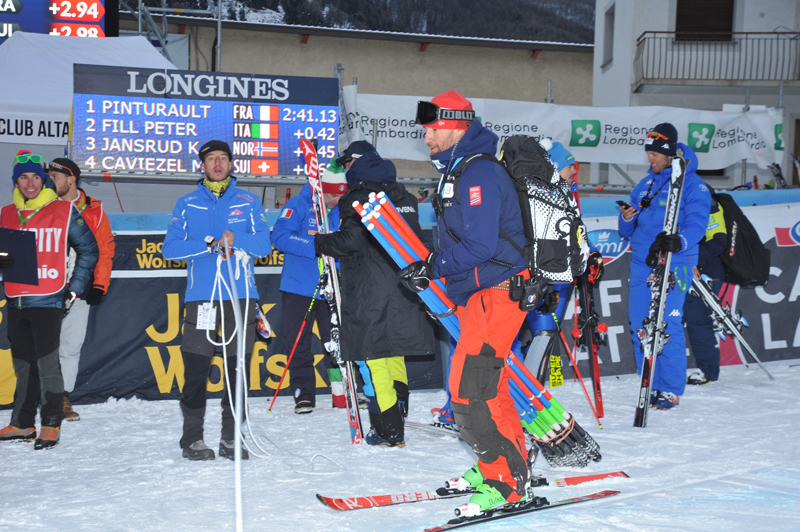 The Italian team will be there with 8 athletes: Fill, Paris, Innerhofer, Buzzi, Marsaglia, Casse, Bosca and Battilani. France has 7 athletes guided by Theaux, Clarey, Fayed and Roger. 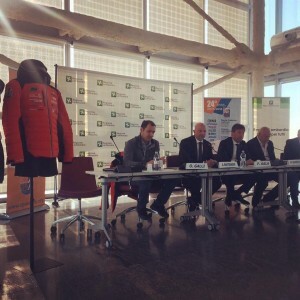 Austria will bring 8 DH skiers including Reichelt, Kriechmayr, Franz and Striedinger. US will be there with 6 downhillers, including Ganong Weibrecht and Goldberg. 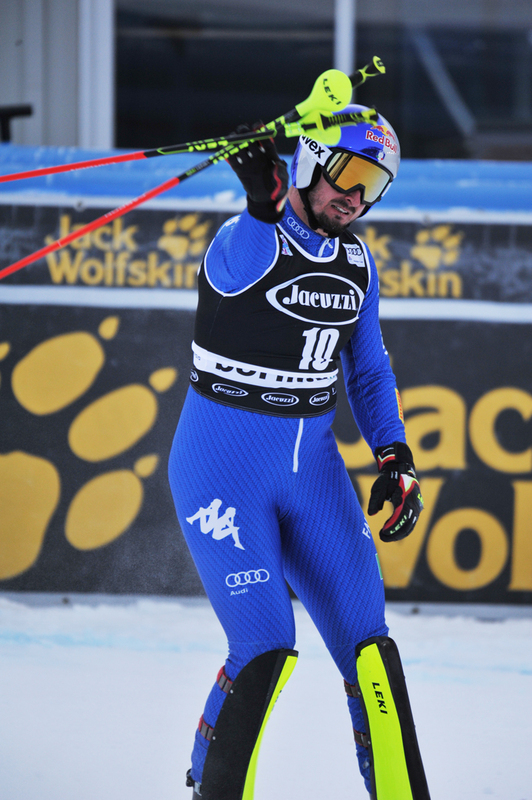 In December 2013 the last winner on the Stelvio was the Norwegian Axel Lund Svindal. The athletes, in order not to feel tired – something hard to eliminate – will train early in the morning from La Rocca to Ciuk, avoiding La Konta, the final part that leads to the town. 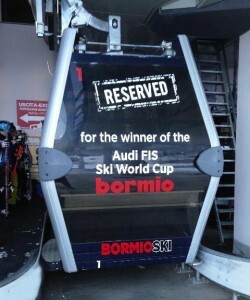 Tomorrow, after 11am, everyone will be by the Bormio 2000 cable car to meet and greet the fans and for interviews. The snowfalls and the cold weather of the last days allowed to perfectly prepare the Stelvio in Bormio, theatre of the Men’s DH race on December 28 and the Alpine Combined one on December 29. 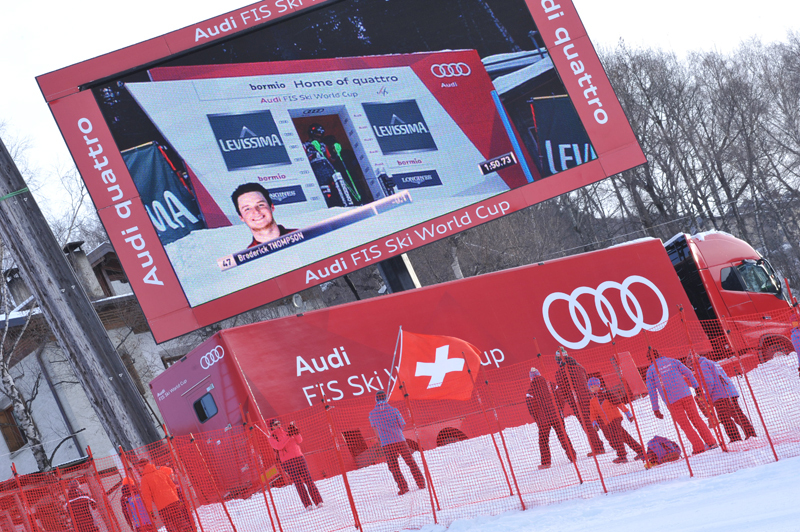 The show – as usual – will be a great one and the races in Valtellina will provide a very reliable horoscope for what the men’s speed values is concerned, just a month before the Winter Olympics in PyongChang. That’s the reason why the teams Italy, Austria, France and United States asked the organizers to train on the Stelvio next week. It’ll be an important “review” of a DH track that is back to the world circuit after three seasons,when the Stelvio was perfectly replaced by Compagnoni slope in Santa Caterina Valfurva. For the organizers and the FIS managers it’ll be an opportunity to test the Stelvio too and make the last small improvements before the races. 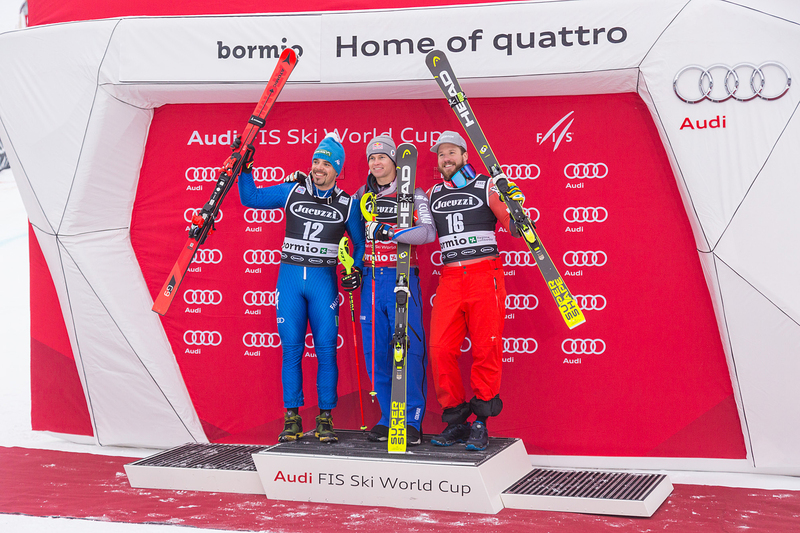 The teams will arrive in Bormio on Saturday December 16, in the evening and right from Val Gardena. Italy and France teams will stay at Hotel Rezia, Austria and United States teams will be at Hotel Palace. Sunday will be a day to rest for everyone. The four teams will be training on Monday and Tuesday morning. Moreover, on Monday 18, starting from 11 am all the athletes will be in Bormio 2000 to meet and greet fans and will be available for interviews. That’s why Fis decided to postpone the planned snow control from Friday 15 December to Sunday 17 December, but it is just a pure formality. Saturday, December 2 will be a great day for all ski enthusiasts as it’s going to be the opening of the Bormio slopes and lifts. The cold weather of the past days gave the possibility to prepare perfect slopes in the town of Valtellina where, in less than a month, the protagonists of the Ski World Cup will challenge themselves. You can ski in the area between Bormio 2000 and Bormio 3000. 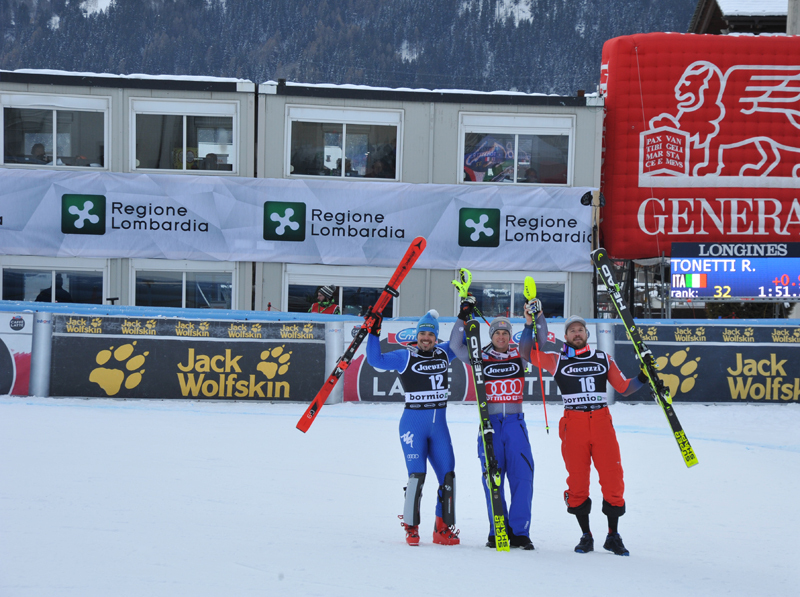 The Stelvio will host the men’s DH on December 28 and the Alpine Combined on December 29. It’s almost ready, perfect from the start to Ciuk, and 70% ready in the bottom area, from the jump San Pietro to La Konta, and in the finish area. 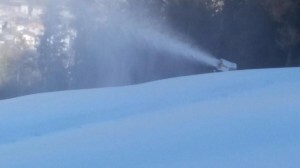 The new snow guns are working full-time and the snow cats are moving the snow. In the meanwhile, the installation of type A nets has been completed. 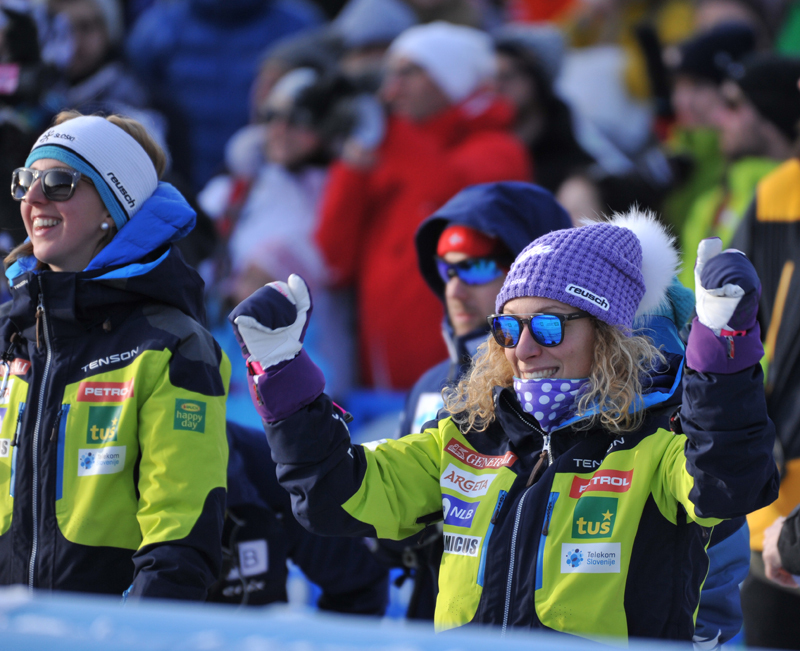 On December 15 – the day of the FIS snow control – everything will be perfect. 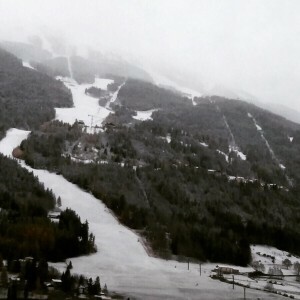 The first real autumnal low-pressure area has brought snow in Bormio, where the DH and Alpine Combined Men’s World Cup races will take place on December 28 and 29. The white mantle covers the slope up to Bormio town (1230 m. asl), but in the upper part the low-pressure area was a strong one, with 50 cm above 2500 m. and 10 cm in Bormio 2000. It is a good start, it also gives the opportunity to start using the new snow guns up to Bormio 2000. In the meanwhile, the installation of the security nets keeps going: the type A have already been placed in the upper part of the piste, while in the lower part work is in progress.